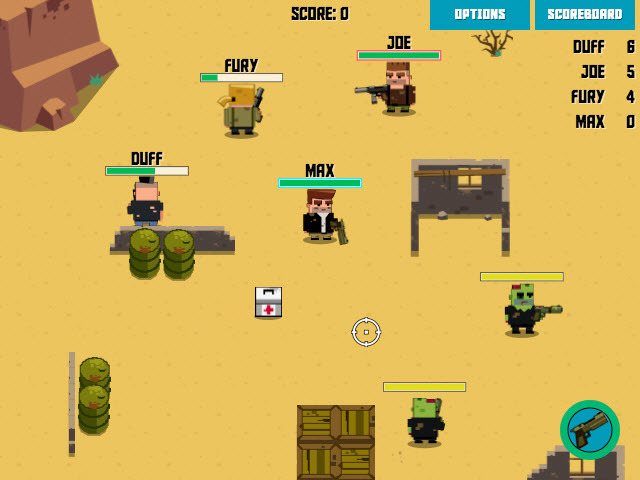 Mad Max meets The Walking Dead in this new real-time multiplayer HTML5 game. Wasteland Warriors is a shoot-’em-up that allows you to play 1 of 4 characters in a desert setting. The names of the characters will ring a bell for fans of the Mad Max movie franchise – there’s Max, Fury, Joe, and Duff. Zombie AIs (called ‘Mutants’ here) roam the place, and instead of wanting to eat your brains and innards, they shoot at you with slimy, bloody guns! All while other players’ characters are coming after you at the same time. 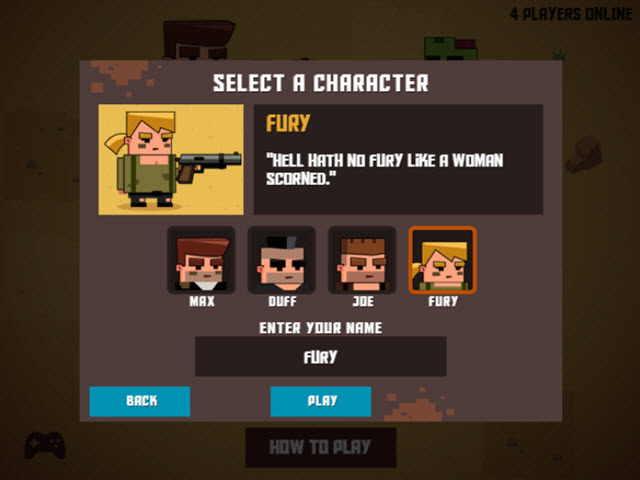 The objective of the game is to shoot and kill as many mutants and other players’ characters as you can. The players with the most kills appear on top of the scoreboard.